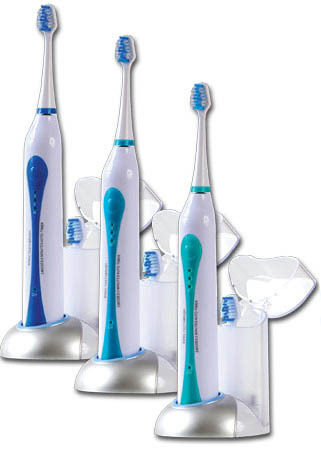 The Aquasonic gets its name from the sonic brushes ability to agitate the fluids that surround the teeth enabling the fluids to dislodge plaque even beyond where the bristles actually touch.This action is referred to as fluid dynamics. What Makes It Better than your regular Toothbrush? 4X FASTER BRISTLE SPEED THAN REGULAR ROTARY BRUSHES FOR A SUPERIOR CLEANING EXPERIENCE. 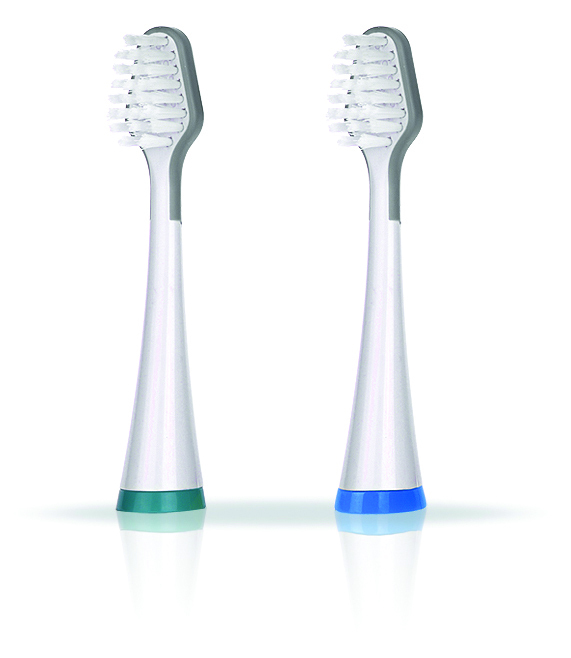 30 000 STROKES P/M MEANS HEALTHIER GUMS & BETTER CIRCULATION. DU PONT NYLON BRISTLES ARE GENTLE ON YOUR GUMS BUT TOUGH ON PLAQUE. STORAGE CADDY FOR NEATER BATHROOM APPEARANCE. SLIM DESIGN HAND PIECE FOR BETTER GRIP AND BETTER BRUSHING AGILITY. SUPERIOR BATTERY LIFE FOR MORE USES IN-BETWEEN CHARGING. Need some help? Contact us today for assistance.